SAN FRANCISCO — NanoRacks LLC said July 13 that an internal investigation determined that some student-designed experiments delivered to the International Space Station (ISS) in May and returned to Earth in early July were never activated on-orbit due to a flaw in NanoRack's astronaut training procedures. Jeffrey Manber, managing director of the Houston-based company, said in an email that NanoRacks will pay to refly the affected experiments. 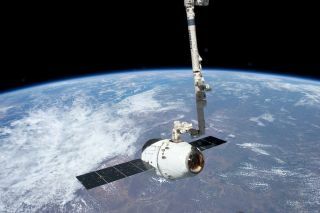 The student space experiments in question were fluids housed in Teflon vials, known as MixStix, that were among the cargo Space Exploration Technologies' Dragon spacecraft delivered to the ISS in late May. Once onboard the space station, an astronaut was supposed to start each experiment by flexing the tube to mix the fluids. When the vials were returned to students via the Russian Soyuz that landed July 1, many researchers determined their experiments were never activated. "Previous crews were given on the ground review and personal interaction prior to launch," Manber said. "For this mission, the astronaut received hardware training solely via video while on the space station. Clearly, there was a miscommunication resulting from the video instruction." In the future, NanoRacks plans to change the MixStix instructional video, train astronauts prior to missions if possible and review other NanoRacks videos to make sure future missions are successful, Manber added.